We have some ‘ritual’ stories at bedtime – books such as Guess How Much I Love You are part of my kids’ bedtime routine and as such, don’t ‘count’ as bedtime stories. So once we have read a book or two, we settle down with a true favourite the children know so well that they can tell the story on their own. It’s rare for a book to move from the big pile of stories to the small, select pile of favourites but The Quiet Book by Deborah Underwood is our newest contender. There are many kinds of quiet and Underwood gently explores all the different quiets that can fill a child’s day from ‘First one awake quiet’ and ‘Colouring in the lines quiet’ to ‘Car ride at night quiet’ and ‘Bedtime kiss quiet’. 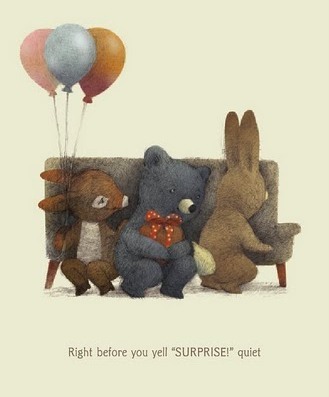 Through the beautiful, delicate illustrations by Renata Liwska we also see that quiet can be thundering – ‘Thinking of a good reason you were drawing on the wall quiet’ and ‘Top of the roller coaster quiet’– to quiet that is sweet such as ‘Best friends don’t need to talk quiet’. 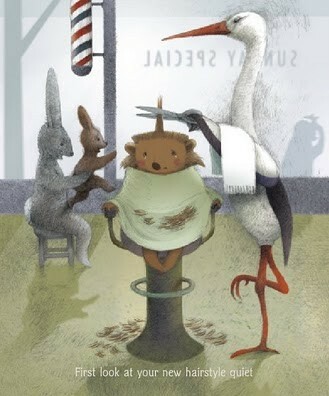 It is difficult to convey just how exquisite the illustrations are, short of saying that the little moose waiting patiently on a bench, eyes downcast in ‘Last one to get picked up from school quiet’ brought tears to my eyes. Similarly, the look of dismay on the hedgehog’s face in ‘First look at your new hairstyle quiet’ shows just how full of feeling illustrations can be. When I first read The Quiet Book I was aware of the different ‘quiets’ in my own life – ‘just got into bed quiet’, ‘hot bath quiet’ and ‘just woke up need a cuddle with mum’ quiet. This charming book has made me relish the quiets. 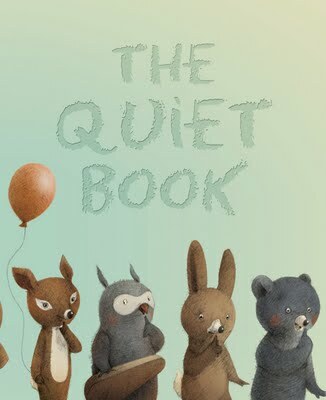 The Quiet Book is available from Fishpond for $17.99.